Our next shop to be profiled likely needs no introduction. 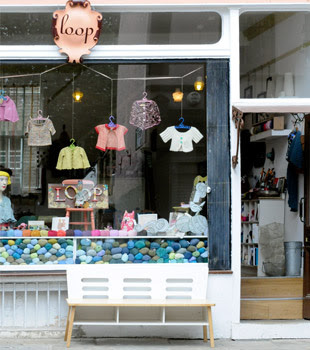 Loop has been a fixture of London's knitting scene for many years and especially since they moved to their larger space in Islington's Camden Passage. 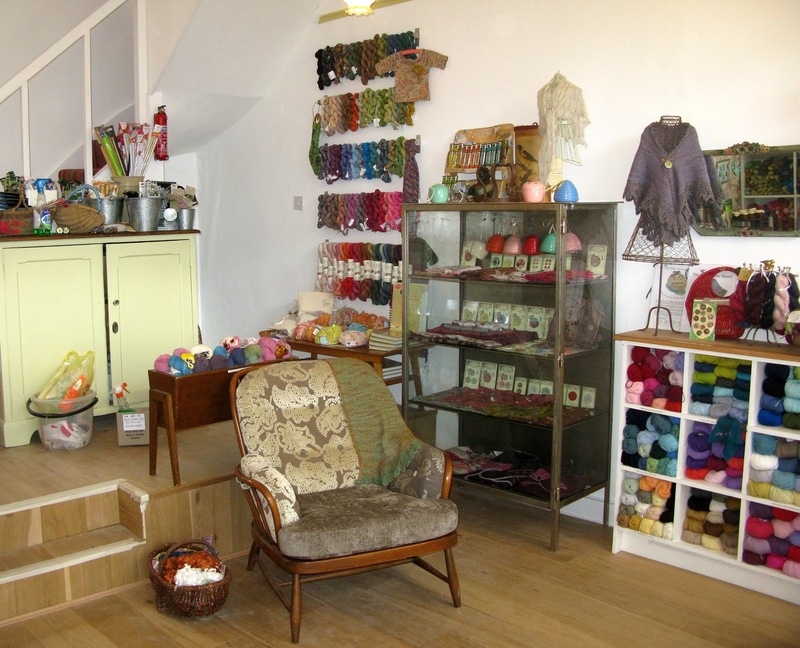 Their online presence keeps knitters outside of London well-stocked too! Loop sources gorgeous knitting and crochet supplies from all over the world as well as vintage haberdashery. We specialise in artisan and natural fibre yarns that not many other shops have. Hand-dyed 4 ply yarns for lace knitting. We are the European Flagship shop for Brooklyn Tweed and Quince yarns. 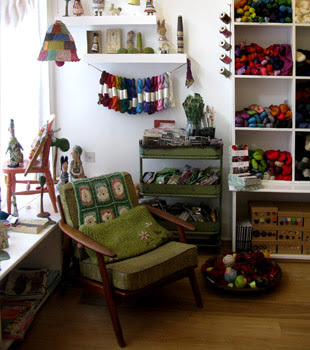 Loop also has the honour of stocking Wollmeise yarn. Everyone who works at Loop is an excellent knitter. We have a huge range of classes from beginners to advanced with many visiting teachers from around the world offering master classes. Islington is bustling and Camden Passage is incredibly charming with antique markets on Saturdays and Wednesdays and lots of independent shops around.